Faun Botor is preparing to take the Step 1 test, which takes about eight hours to complete and is considered one of the most difficult exams in medical school. But the test isn’t the only challenge facing Botor, who’s a sophomore at the UNLV School of Medicine. She’s 31 and the mother of three children, and one of them has autism. 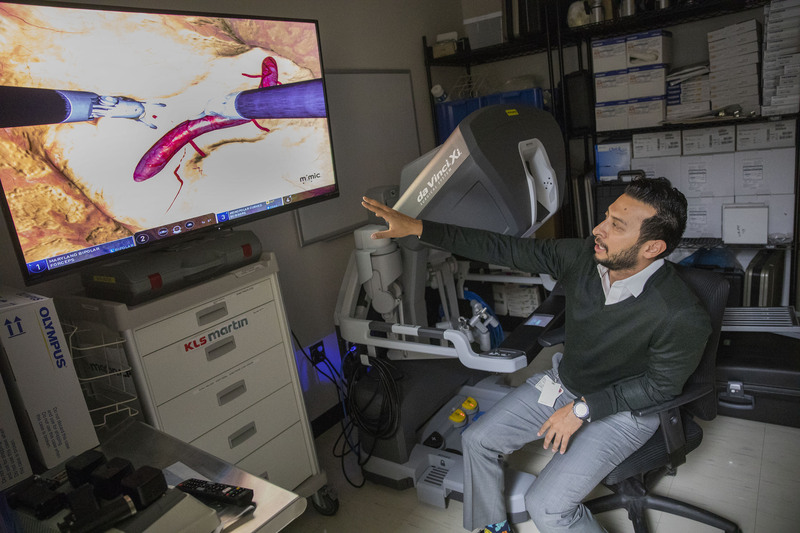 Botor is one of 120 students currently enrolled in the UNLV School of Medicine, which started its first class in 2017 and is planning a building in downtown Las Vegas’ emerging medical district. It’s proud to have a highly diverse student body that includes non-traditional students like Botor. Putting together a student body that looks like Las Vegas is the outgrowth of a laser focus on recruiting students committed to the area and willing to help fill big gaps in the state’s health care-workforce. Nevada is chronically short on doctors, even as more residents have the means to pay for care after former Gov. Brian Sandoval expanded Medicaid. Nevada ranks 47th in the nation for the number of active doctors per 100,000 patients, and 48th in the country for its ratio of doctors to residents. In Southern Nevada, that averages out to just over 180 full-time physicians per 100,000 residents, compared to the national average of 303. The new medical school, which will focus on mental health, addictions, cardiology and cancer, among other specialties, also aims to boost economic growth throughout the state. Health care is one of the sectors in Nevada that has the greatest potential for growth, with tens of thousands of workers less than the demand. The school of medicine is projected to have an economic impact of more than a billion dollars a year and create 8,000 jobs by the time it’s fully functional in 2030. But for now, it’s still growing up — the school is asking legislators this session for an additional $14.3 million to add two new cohorts of students, more residencies and additional faculty. The UNLV School of Medicine has a level of diversity well above the national average, with Hispanic students making up 20 percent of the inaugural class and African-American students making up 8 percent. In a 2015 survey, the Association of American Medical Colleges found that less than 5 percent of medical school graduates were Hispanic and less than 6 percent were black. Gov. Steve Sisolak’s budget calls for more than $14 million in additional funds to support the growing school. UNLV Acting President Marta Meana explained to lawmakers at a budget subcommittee hearing last Thursday that the money would back two new cohorts of 60 students each over the next two years, helping the school grow to its full size of 240 students. It will also help expand the number of residencies from 300 to 353 over two years, add 15 new faculty members and add four new departments: in dermatology, plastic surgery, anesthesiology and geriatrics. It won’t be the first time the Legislature has supported the project. Aside from millions in operating funds, lawmakers approved $25 million in 2017 to help construct the UNLV School of Medicine building. But setbacks last year in private fundraising prompted school leaders to scale back their ambitions from the 220,000-square-foot building originally envisioned. Meana said the school is now analyzing the scope of the proposed building. The new facility might be 150,000 to 180,000 square feet, and the primary focus now will be on expanding the actual number of medical students in each class from 60 to 120, she testified at the Thursday budget meeting. Within the classrooms, future doctors are striving to overcome their own challenges and achieve their goals. Kathie Velez agrees. A 28-year-old California native, Velez arrived in Las Vegas when she was 4 years old and decided to study at the UNLV School of Medicine so she could establish a practice in Las Vegas and help improve the health sector. Velez, who is currently president of the Latino Medical Students Association, believes it’s also important to serve as a mentor for Latino students, which is why she has helped create programs aimed at those who want to pursue a medical career. 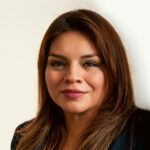 “I would really like more minority students, especially Latino students, to apply to medical school,” she said. 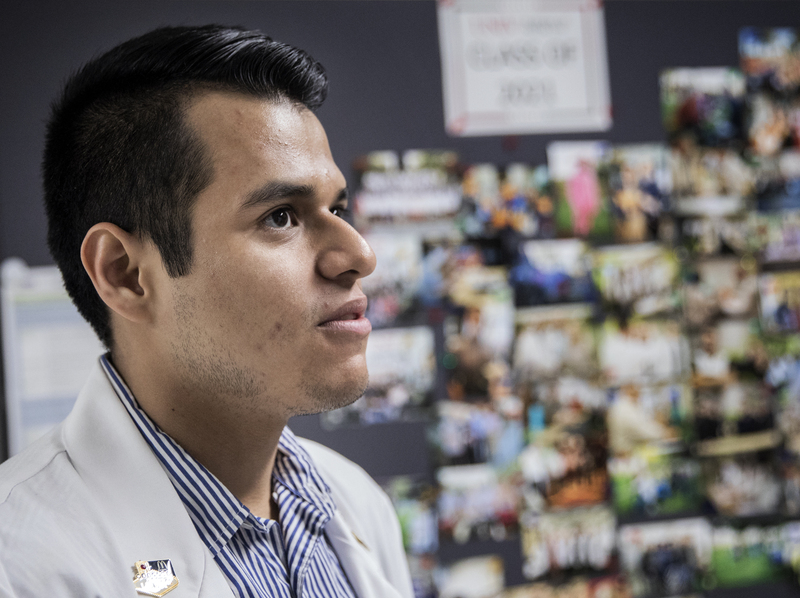 One of Velez’s classmates is Robert Vargas, a first-year medical student who has Mexican roots and is the first in his family to attend college. Vargas, 23, said his background allows him to better understand the lack of access to health services and the need for more doctors who can identify with the community they serve. Vargas said he has been able to afford his studies thanks to a scholarship from the Engelstad Medical Scholar program. All students in the first graduating class have a full-ride scholarship, which adds up to a $100,000 value. In the second class, 40 students have full scholarships and 20 have received partial scholarships. This financial support varies depending on the needs of each student. The scholarships help distinguish UNLV School of Medicine from institutions in the rest of the country. Joncich added that offering these scholarships can attract bright students with grade point averages above the national average who want to pursue a medical career with a general focus and aren’t necessarily pursuing high-paying specialties. The pay gap between specialists and family doctors can be stark. According to Salary.com, a family doctor in the U.S. earns an average of about $200,000 annually, while a cardiologist makes about $413,000 annually. One of the main requirements to enter the UNLV Medical School is that the students are originally from Nevada or have strong ties to the state. 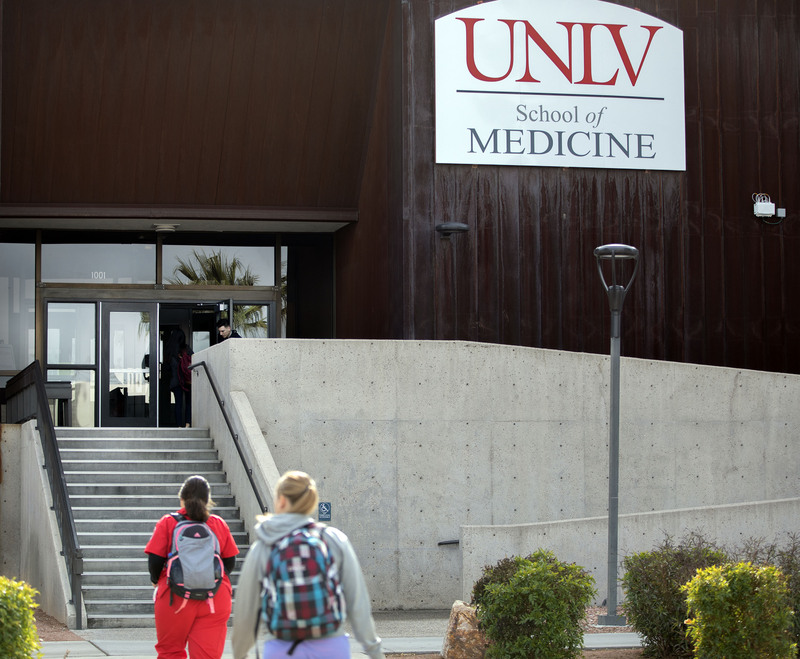 Although the UNLV School of Medicine doesn’t recruit students outside Nevada, Joncich said they’ve received more than 1,900 applications for the Class of 2023. Of that, 320 students will be interviewed and only 60 will be admitted. Michelle Rindels contributed to this report.